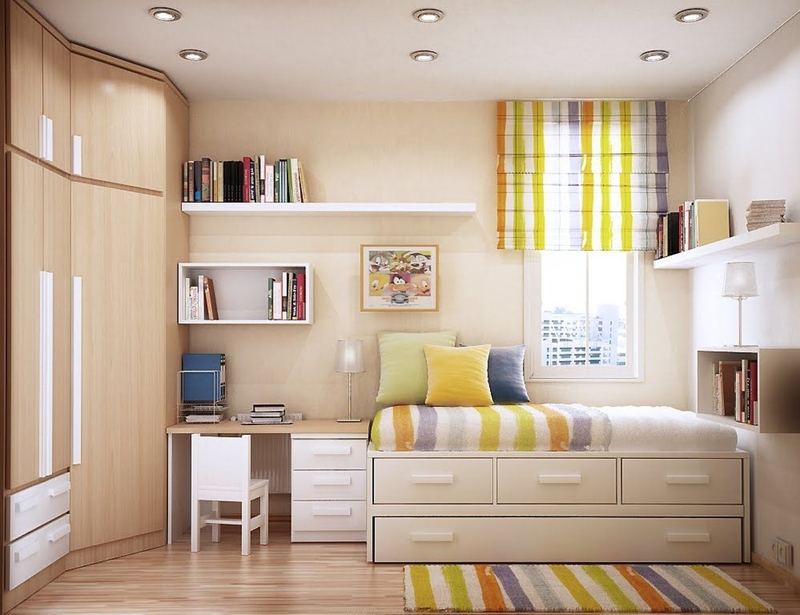 A small bedroom can present big design challenges. When there’s a depressingly finite amount of square footage to play with, must-haves like a bed and a dresser can be stubborn in their lack of flexibility. You may think there’s no way to make your space feel bigger—short of moving the walls—but that’s not necessarily true. With a bit of ingenuity, you can reclaim a surprising amount of real estate in your sleeping space. Here are 30 creative solutions, such as making smart storage choices, incorporating furniture that multitasks, and capitalizing on vertical space, that can turn a tiny retreat into something terrific.